What Is It That You Want, and What Are You Willing to Do to Get It? As the debate over the value of college and a-driftin’ students rages, I’m starting to wonder what people go to college for. It used to be as a stepping stone to a better life. It worked for me. I learned a skill and got a job. But it’s not really working for everyone. Is it the colleges? Is it the students? Or is it … our expectations? There’s a quotation from Mike Rowe of “Dirty Jobs” (shared by Justin Cox at the Huffington Post) in which he and Adam Carolla discuss the value of a college education. And it’s interesting. So, what is “better” to you? Do you want to make more than your parents? Do you want to do less manual labor? Do you want the kind of job where you can guide yourself? Something with more flex time? People seem to want it all, which is fine, but you’re less likely to get it all. You would be better off focusing on one goal. And focusing on an expectation isn’t the same as diminishing your expectations altogether. And focusing on an expectation doesn’t always mean you need to go the traditional college/grad school route. For me, I want a job that gives me self-respect. Then I want a job that pays decently. Then I want to live in a city. That’s my rank order. Teaching didn’t give me self-respect, so I switched to something else. I also like to eat, so I found a job that helps with that. I also live in a city, although since that’s third on my list, I would be willing to give that up in order to keep the other two. And I didn’t need to get my PhD to meet those expectations. I have made some compromises. I’d love to have a flex-time job. In an ideal world, I’d rather not be Hamstering away in a cube farm, but I do have self-respect, and I do get a salary that makes me happy. That’s not bad. I can take walks and go out for lunch if I’m tired of hamstering. I am OK with the compromise. If I am no longer OK with it, I’ll make a change. 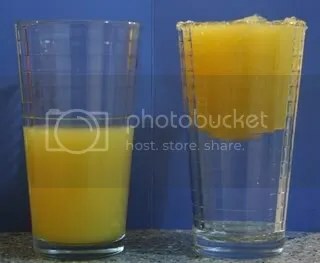 Image of a glass half full or half empty, depending on how you look at it, from LuciaSofo from Wikimedia Commons, public domain.